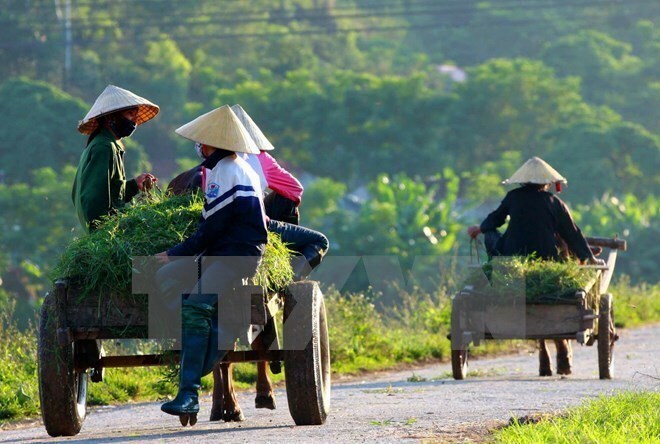 Dak Lak (VNA) - The Central Highlands provinces have more than 100 communes and one district recognised as new-style rural areas, according to the Steering Committee for the Central Highlands Region. Of these communes, 50 are in Gia Lai province and 45 are in Lam Dong, which is also the first province in the region having a district recognised. Since 2011, the Central Highlands provinces have mobilised over 90 trillion VND (3.96 billion USD) to implement the new style rural area building programme, including 2.23 trillion VND (98.12 million USD) from the State budget and the remaining from organisations and individuals. The money has been allocated rationally for communes, helping poor communes narrow the infrastructure gap with others. Ethnic minority people have voluntarily donated land and working hours to the new style rural area building. More than 1,000 effective production models using high technologies in farming and aquaculture have been developed and multiplied in many localities. For example, Lam Dong has over 43,000 hectares of hi-tech cultivation land, accounting for 15.9 percent of its agricultural land. As a result, agricultural production value and farmers’ income have increased by up to 30 percent.